Do you love mining blocks? If yes, welcome you to Minecraft Speed Miner! 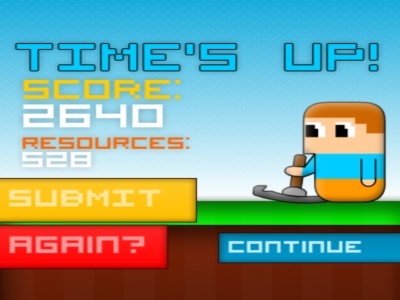 The aim of this mining game is to mine as many blocks as you can in 90 seconds. There are no creepers or skeletons, so don’t worry about them! On every block, there is a arrow key. What you need to do is to press the corresponding arrow keys on the keyboard. Sometimes, you need to use Shift key to activate TNT. The Time and Score are on the screen. It is such an exciting mining game. Come and play to have fun! You click the corresponding arrow keys to destroy blocks. Pressing Shift helps activate TNT.